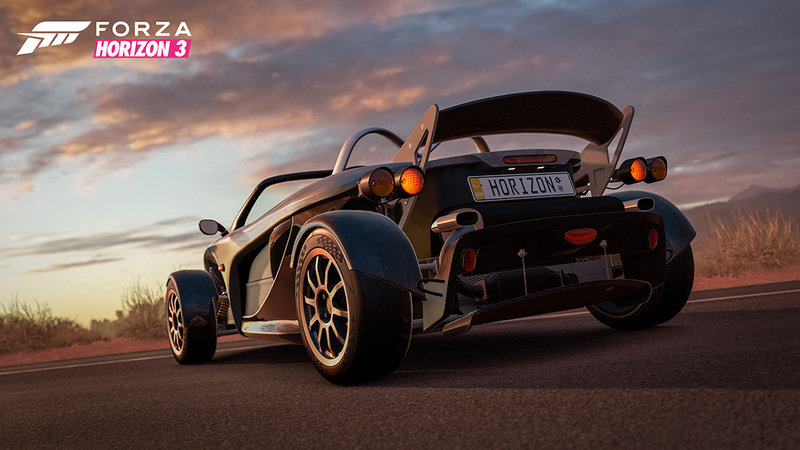 From the shores of Surfers Paradise to the wide-open spaces of The Outback, the roads of Australia are now open for adventure in Forza Horizon 3. We’re proud to bring you our first monthly DLC pack for the game – The Smoking Tire Car Pack – featuring seven new-to-Forza vehicles that are bound to inspire new adventures Down Under. 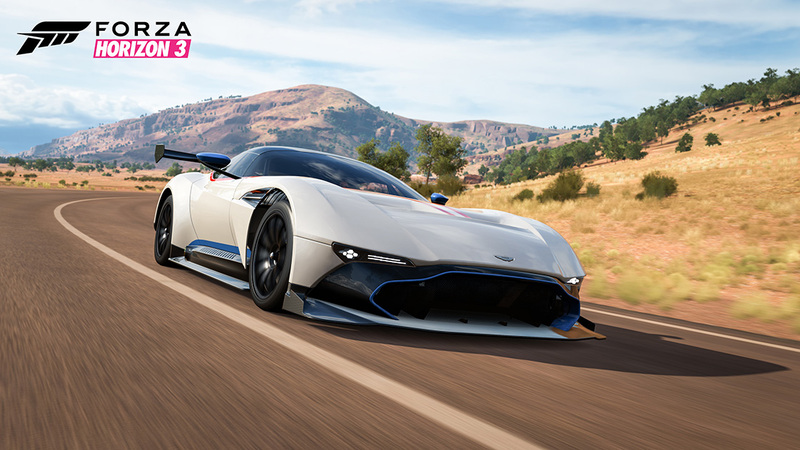 First up is the amazing Vulcan hypercar from Aston Martin; a car whose outer beauty is unmistakable, but can best be appreciated behind the wheel. In the wings are supercars from around the world, including the ultimate expression of Pagani’s famed Huayra hypercar and BMW’s latest M-class masterpiece. 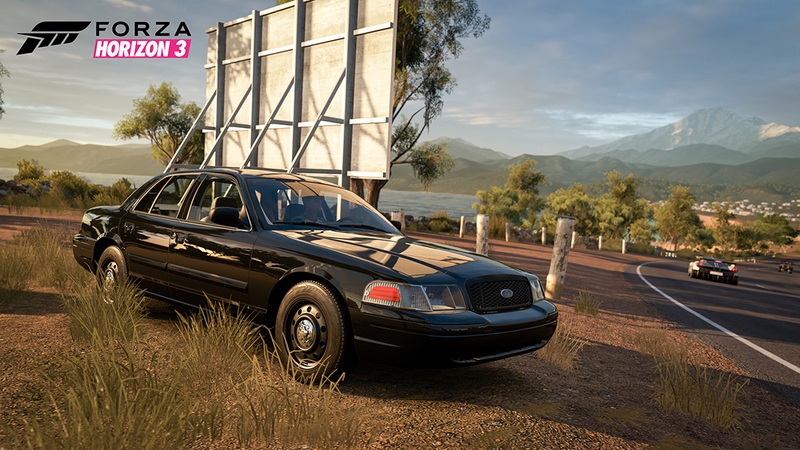 Then we have the Ford Crown Victoria Police Interceptor, a true cop-car that is ready to give chase or power you to victory in a circuit race. 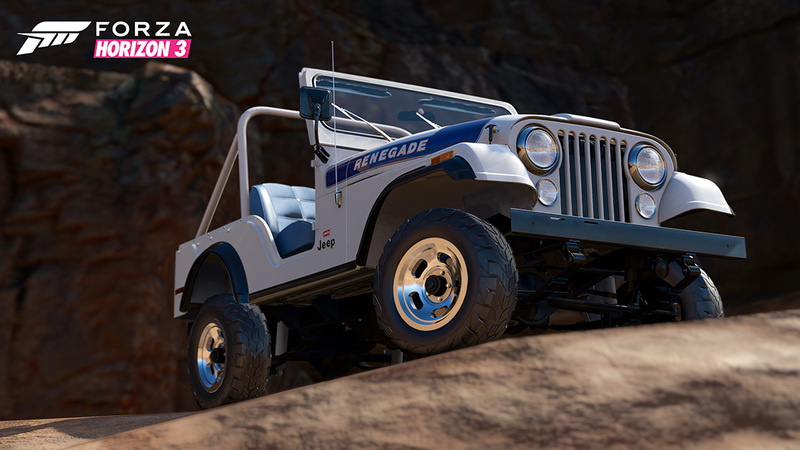 If that isn’t enough, the classic Jeep CJ5 has arrived ready for all that Australia’s back country can dish out. 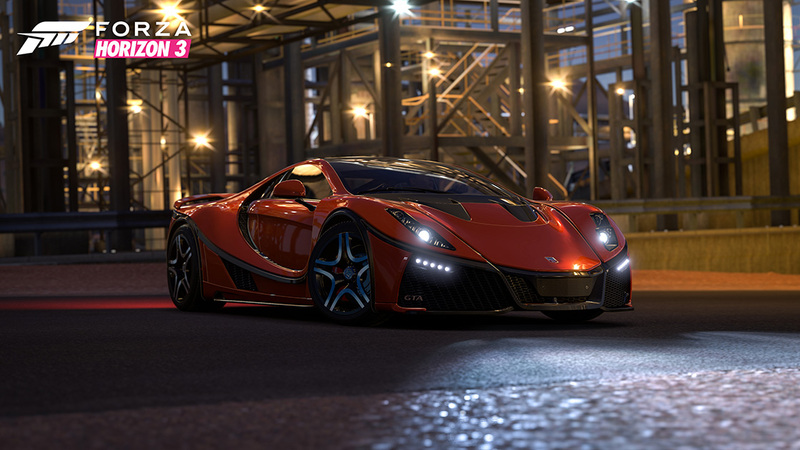 The Smoking Tire Car Pack is the first monthly car pack to arrive in the Forza Horizon 3 Car Pass, which is available as a separate purchase or as part of the Ultimate version of Forza Horizon 3. For one low price, you can get access to all six of the DLC packs that will be arriving in the game from this October through March 2017. That’s 42 vehicles total, representing the kind of automotive variety and fun you expect from a Forza game. The Smoking Tire Car Pack is also available as a standalone purchase for $7 in the Xbox Store. The Lotus 340R’s wild looks do more than inspire wonder, they embody the bottom-line of Lotus founder Colin Chapman’s design philosophy: “Simplify, then add lightness.” The 340R takes adding lightness to the extreme. A glance at this bare-bones roadster and you’ll see that nearly everything has been stripped off, while still retaining what makes the Lotus Elise great. At a svelte 1,541 pounds with 177 horsepower from its rear-mounted 1.8-liter four-cylinder, the 340R will float through corners and leap like a kangaroo from launch. Tame this low-production specialty on the road or let it run wild in the Outback. It’s ready to be abused in the search for speed. Every once in a long while the dream of creating a dream car comes to life. Such is the case with the GTA Spano, a 230mph-capable supercar. Powered by a twin-turbo, intercooled and slightly bored out Viper V10, it has the guts to get the job done and the form to not only catch the eye, but convert air into grip-amplifying downforce. Spanish automaker Spania GTA has built the GTA Spano from the most rigid materials on Earth, and the way it responds to the contours of the road or the lack thereof is entirely unique. What else would you expect from a company that built something out of pure passion for driving? Here is BMW’s recipe for the M2 Coupé. First, take the suspension and braking of the larger M3 and M4 and fit them in a lighter and more nimble chassis. Then, rather than attempting to imitate the bigger brothers’ powerplants, just take the best parts and infuse them perfectly. The result is a rousing sonorous automotive event that will ring all the bells and checks all the boxes. Sometimes good things come in smaller packages, and in the case of the M2 it’s dead true. There is something unique about the freedom of riding in an open-air Jeep CJ. Other companies have tried to emulate what the Jeep represents, some with limited success, but there is nothing like the real thing. Some of it comes down to components that set a standard for performance in the toughest conditions, like Saginaw steering or Dana running gear. More than anything is the notion that, when driving a Jeep, you can blaze a trail that few others can follow. So hit the trail or hit the road, either way this American original is ready to roll. 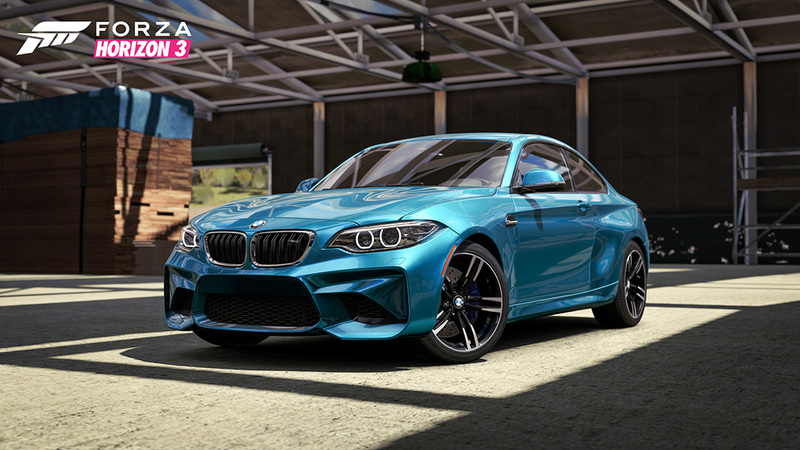 In addition to the cars of the Smoking Tire Car Pack, we also released the latest update for Forza Horizon 3. 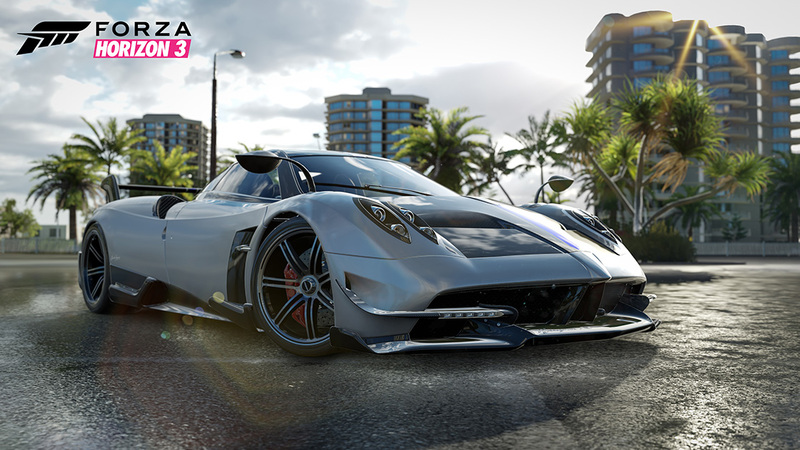 This update addresses several issues in both the Xbox One and Windows 10 versions of the game. Check out the story for the full list of improvements to the game, as well as a look at issues the Forza team will be addressing in future updates.